Are You Doing Everything Possible to Prevent a Data Breach? As the owner and operator of your business, you know how much is involved in day-to-day operations; while document management may not be on the top of your list of tasks to tackle, it is an extremely important area you don’t want to forget about. In fact, information security, can dictate how successful your business is long-term, as with the right processes in place you can improve organization, efficiency and security, all of which contribute to better business. 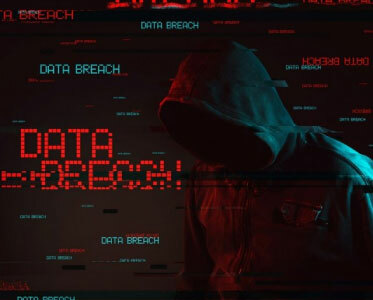 Taking certain precautions to reduce your risk of information breach can limit risk and liabilities associated with the risk of a data breach. Your organization size is irrelevant in determining whether or not you need to implement these security measures, as even smaller companies are targeted by thieves and cyber criminals. Alarmingly enough, small companies are often victimized more because many of them lack these information management procedures to begin with. At the end of the day, any individual motivated enough to steal or compromise your sensitive information, really has no interest in the size or nature of your business. Ensuring you have the proper security measures in place are what will protect you from outside threats. Being proactive also protects the identities of your customers and staff as well, which you have a legal obligation to do as a business owner. Knowing how to get the ball rolling can often be the most difficult part of the process because there are lots of considerations in each area of your business, each with their own vulnerabilities that must be addressed. Where is the best place to start? Back-up prevention is key to protect your business from outside threats. Based on your industry and the nature of your business, this might include server networks to network storage drives etc. Small businesses that only consist of a handful of computers could be covered effectively with a simple external hard drive. The bottom line is having a backup solution available to you that runs regularly is invaluable if things take a bad turn. We highly suggest that you investigate programs with antivirus and anti-malware tools. Having these handy programs in place will eliminate stress and help keep your computer system secure. Amazingly something as simple as having a clean desk that is organized and clutter-free can do wonders in limiting lost and/or stolen documents, and yet so many companies fail to follow this simple policy. It also reduces the possibility of wandering eyes glimpsing confidential matters that shouldn’t be exposed. Performing regular risk assessments can measure where your office stands relative to risk level. These assessments will allow you to discover where you may have security vulnerabilities that you might not otherwise have noticed. You will find these areas requiring improvement as they happen which critical for preventing further security issues. Introducing and explaining the steps of each policy is just as vital as training employees on how to follow and adopt these policies. A clean desk policy can only be successful if your team understands how it works and why it is so necessary for your business. While you may think your office shredder will do just the trick, the reality is they are not built for regular ongoing use and they can be a pain to operate. Simply put, the benefits that come with a professional shredding provider far outweigh any you’ll receive with an office shredder. Professional shredding on the other hand, guarantee that documents are left in a virtually irreversible state. Our scheduled shredding services can offer your business convenience and improved security, as there is no need to travel off-site or move documents on your own; we come to your location and the entire destruction process occurs on your premises, allowing you to watch it occur in real time. If you are located in Boston or Massachusetts and are seeking ways in which you can enhance your internal security measures, reach out to our team of professionals at A1 DATASHRED. We would be pleased to work with you and assist you in choosing a shredding program that is most appropriate for your needs. Our goal is to keep your information and thus your identity safe, while helping you maintain compliance with privacy legislation. We offer many options in relation to our services; choose what is most convenient for you and we’ll take care of the rest. Our service area is constantly expanding so we can look after you better.